Softening buyer sentiment and tighter credit conditions are driving a market slowdown which we expect will continue for the remainder of 2019. Lot sales declined during 2018 as a balancing act after a strong 2017 (lot sales outpacing lot releases). 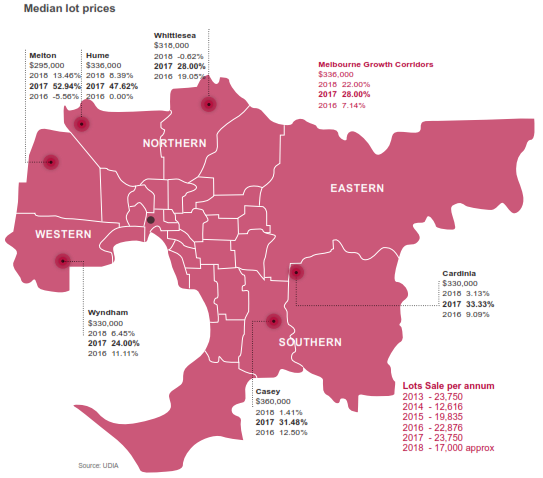 Following strong sales and price growth over the last 3 years, Melbourne’s land market is returing to the historical lot sales of approximately 17,000 to 20,000 lot sales per annum. Melbourne’s population growth is expected to remain robust, forecast to increase by 2.4% pa for next 5 years and interest rates to remain low. 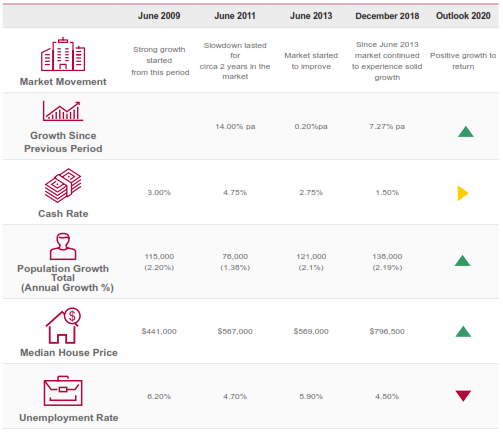 As a result we expect the residential market to experience further decline in 2019 before growth returns in 2020. Building approvals decline, creating a potential shortage of housing and if the trend continues we will have a housing shortage and affordability issue by 2024. There is a good growth opportunity for smaller boutique apartment projects targetting owner occupiers particularly downsizers (65+ yrs) over the next 5 years as this segment of the population grows from 978,000 to 1.14 million (increase of 162,000).